Digi TransPort LR54 is a high speed LTE Advanced networking platform designed for self-service, retail and managed networking applications across distributed enterprises. Each device features an LTE Advanced CAT6 modem with speeds up to 300 Mbps and support for global deployments with a single hardware version, as well as a 4-port Gigabit Ethernet switch and serial port for console access. The routers include license free enterprise software features like VPN, firewall and SNMP. 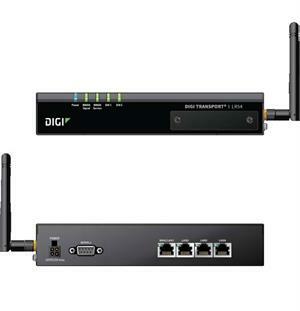 Digi TransPort® LR54 High-speed LTE-Advanced (LTE-A) Wi-fi router with rock-solid stability and unmatched value.